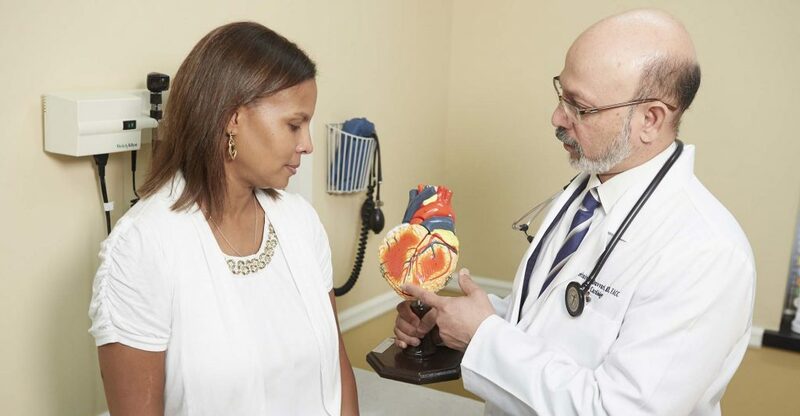 Aortic stenosis is a condition in which the aortic valve that regulates blood flow from the heart to the rest of the body narrows, decreasing blood supply to the body and increasing strain on the heart. Coronary arteries are responsible for supplying oxygen-rich blood to the heart. Coronary Artery Disease (CAD) develops when there is a buildup of fat and cholesterol deposits in these arteries, which partially or completely blocks the flow of blood to the heart. Peripheral arteries supply blood to the outer areas of the body. Peripheral Artery Disease (PAD) occurs when blockages develop throughout these arteries, most commonly in the pelvis and legs. This disease reduces the flow of oxygen-rich blood to your limbs.